The Dragon Fellowship is recruiting more heroes than ever. The world of Dragon Saga is still filled with much evil, and there is no one more equipped to deal with the darkness than them. From January 18th 2012 – January 31st, training or hunting on Channel 1 will give heroes level 1-40 a greater bonus than ever before! Answer the Call to Arms and join the fight against the Darkness! For each transfer of 1000pts or more during week to receive bonus item during maintenance. Free items will be distributed within 5 business days of purchase! Lunar New Year – Year of the Dragon Saga! Lunar New Year refers to the beginning of the year in several lunisolar calendars around the world and on many of those calendars this year marks the year of the Dragon. Many of us may not follow these calendars but that doesn't mean we can’t have a celebration. Beginning January 18th 2012-January 31st 2012, we’ll be having a Lunar New Year celebration of our own! Each day we’ll be giving all players over level 23 a Fortune Gasha Box! This box contains one of six fortunes but beware not all are good fortunes! The Item Mall and BigWheel will be joining in on the celebrating as well! All new 2012 Hat, Glasses, and Balloons will be added to the Big Wheel. So take a spin and try your luck! The Item Mall will be offering “Year of the Dragon Costume Box” which contains Oriental Dragon Costume (Mask, Backpack and Balloon) and 20x Year of the Dragon 2012 Firecrackers for just 375pts! Help us make this year, the Year of the Dragon Saga! We are into January and we have great news to celebrate! We have placed 1st in the P2P division in the MMOSITE 2011 Player's Choice awards! In celebration we are hosting Double EXP until January 24th! We also have "Dally Quen" in the Eden Group Kitchen who offers Daily items just for talking to him. The more days you get prizes the better the prizes get! You can get free Blue and White Pots, Yggdrasil Seeds, Reset Stones, Hugel Medals, Old Card Albums, Bloody Branches and other items too! Of course we have other fun stuff going on this week too, such as Gramps offering Dragon Themed Turn-ins which Gramps will warp you to a mirrored map so you have the best play experience and grouping of adventurers on the same quest! Also the HE Bubblegum Box and HE Battle Manual Boxes will be available until January 23rd. Later this week we will have a short restart to add more to our celebration! We all know the Dragon Saga celebrities that hang around town, from the top PvPers to the famous guild leaders we all know and love. But there is always one question, how are these celebrities living? What is there home life like? Most importantly what does their MyHome look like? Now is your chance to show off your MyHome and win great prizes while bragging! - Create a thread in this section of the forums and post the screenshot (in subject include Character name-Describe your MyHome and Items in it. (Make sure to list all furniture and items included in screenshot. -Dragon Saga team will judge all the entries. -5 Lucky Winners will win the title of DS MyCrib Designers of the Year! So off your stylish MyCrib and win great prizes. *Prizes will be handed out the day after the event ends. Ragnarok Launches the Biggest Christmas ever! Just because we are in the midst of the holiday season doesn't mean that we are sitting on our laurels! Ragnarok Online is going to have a plethora of events and bonuses running this week. Our facebook page here now has in excess of 60,000 likes! To celebrate will be having a one week double exp event! Giving a reset stone to Gramps will give a 3 hour cooldown instead of the 23 hour one. Early Wrapped Christmas gift and Christmas Holiday box are now vend/tradeable! 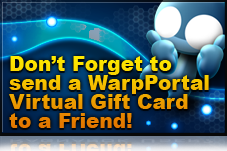 In addition, from December 20th until December 27th, the points you spend will be given back as bonus points and the end of January as a small "thank you!" for all of your support during the year! We greatly appreciate your support and wish you all a very happy end of the year and a fantastic 2012! The end of the year is fast approaching with only a few weeks lefts that going to make this even more of a challenge. But, if it wasn't a challenge it wouldn't be fun right? Your Task: Create a character in the month of December* and level him to 80. Reward: 20,000 IM Points on January 2nd. *Character must be created between December 1st and December 31st. Level 80 must be reached by 11:59pm PST December 31st to qualify. Limit one Prize per account.